As reporters literally ran to Hillary Clinton’s “Mystery Van’” campaign stops in Iowa on her first day of campaigning, what many did not report was that the “ordinary Americans” with whom she met for purportedly spontaneous discussions were actually plants. The meetings were scripted, pre-arranged affairs filled with people transported to the events by Hillary staffers. Worse, one of these “ordinary” people was a young man who was an Obama operative and Vice President Biden worker and is currently training as an Obamacare lobbyist. Two others were a worker at abortion mill operator Planned Parenthood and the president of the University of Iowa’s College Democrats. All three are already vested in the political system and a bit outside the arena of “ordinary” Americans. In the end, Hillary’s “astroturf” stops in Iowa were carefully orchestrated and far from spontaneous meetings with potential voters. 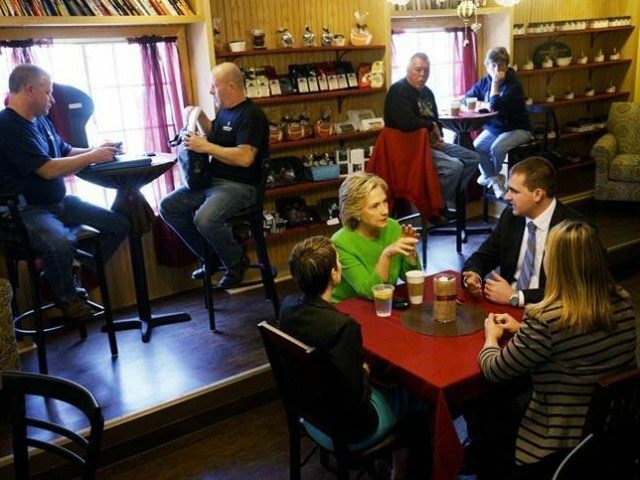 Some reports are now leaking out identifying the three Democrat operatives who met with Hillary at an Iowa coffee shop. One was a young man named Austin Bird. The Iowan has already spent several years working for the Democrat party machine in Iowa. For instance, in 2012, Bird served as a volunteer for Team Obama, serving out an internship in Obama’s Iowa campaign office. Bird also acted as Biden’s chauffeur when Obama’s number two visited Iowa in 2014. Additionally, Bird is now training to be an Obamacare lobbyist. 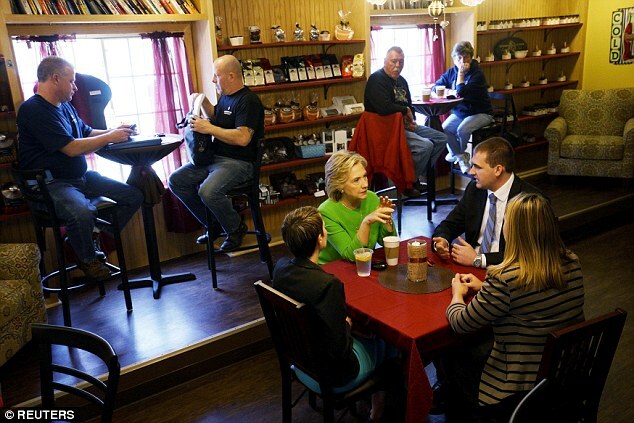 The other two “regular Americans” who sat at Hillary’s coffee shop table were also deeply involved in party politics. They have been identified as Carter Bell, the president of the University of Iowa’s College Democrats, and Planned Parenthood employee Sara Sedlacek. It has been discovered that the visit was pre-arranged and planned by Clinton campaign staffer Troy Price, the recently resigned executive director of the Iowa Democratic Party. Mr. Bird says that he was not aware that his visit would be with Hillary Clinton herself, but he confirmed that it was all arranged by Price. The orchestrated coffee shop event is part and parcel of the pre-arranged events that included a “tip” to a New York Times reporter that Clinton would be lunching at a Chipotle store so that the reporter could take a “candid” photo as the former secretary of state stood in line waiting for her meal. The tip most likely came from the Clinton campaign itself. Some of Team Hillary’s orchestration, though, has already backfired, as it was learned that many of the candidate’s Facebook and Twitter followers were either fake accounts or purchased by the campaign to make it seem like she had more “ordinary Americans” as followers.